Amazon's Choice for "crazy creek"
DURABLE: Inner surface of water-resistant, breathable 70D coated ripstop nylon is more durable and sealed from sand and dirt. 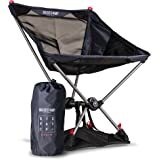 Carbon-fiber stays, reinforced wing connections, and tight-knit nylon webbing for superior durability, holds up to 250 lbs. Ships from and sold by Bikewagon. 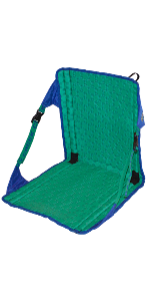 With an expanded product line in addition to our Original Chair, we make a less expensive version, The Chair, a full length sleeping pad/chair combo-Air Chair Plus, backpacking chairs, stadium/bleacher chairs, canoe chairs, kayak chairs, tarps, cribs or hammocks, soft coolers, tables and above ground chairs for tailgaiting, backyard furniture or car camping. Improved 8mm high-density cored EVA closed-cell foam provides more insulation and comfort. Inner surface of water-resistant, breathable 70D coated ripstop nylon. Material that is more durable, easy to keep clean, and provides better insulation. Leave no corner of the world unexplored. Crazy Creek's amazing outdoor gear will support you as you venture out. 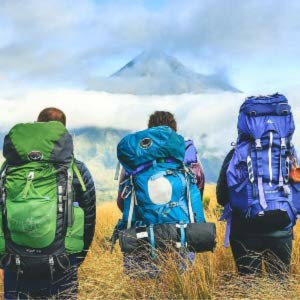 If you’re serious about hiking, backpacking, camping, traveling, or chilling in your own backyard, Crazy Creek is made for you. We care about quality. 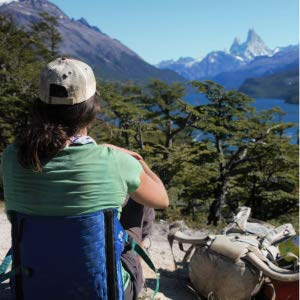 Crazy Creek chairs, hammocks, tarps, and hiking accessories are all proudly manufactured with long-lasting durability in mind. Our reputation speaks for itself. 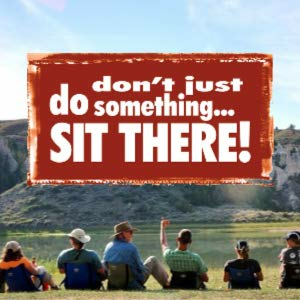 Whatever your outdoor adventure, Crazy Creek has a comfortable product for you! Crazy Creek has remained true to its roots as an authentic mountain brand still located at the foot of the Beartooth Mountains. 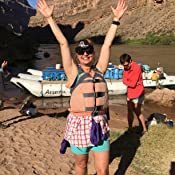 We create products that enhance outdoor experiences for hikers, backpackers, fishermen, soccer moms/dads, stadiums, RV's, festivals, picnics... anywhere people venture out, from the North to the South Pole, and everywhere in between. 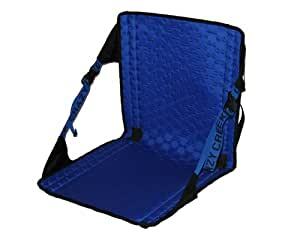 The Crazy Creek Hex 2.0 Original Chair is highly packable and great for ultra-light camping. Ideal whenever space and weight are a factor. Also perfect for day hikes - just clip the HEX 2.0 to your pack and go! 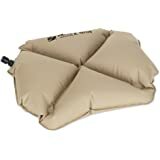 They work great as sleeping pads for ultra-light backpacking too.Reinforced wing connection for durability..Handy attached roll-up strap and hanging loop..Rolls up compactly to only 4 inch diameter..250 pound weight capacity..Limited Lifetime Warranty..Size: 33 in. x 15.5 in..Weight: 21 oz..
Really uncomfortable. 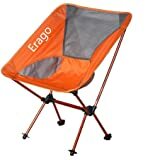 I purchased this because it is lightweight and can roll up which I thought would be convenient especially for backpacking, but the support bars for the backrest really gouge into me (I am 5'10" ~ 165 lbs average/athletic build) and I can't sit in it for more than 3-5 minutes without feeling uncomfortable and needing to get up to move. The material is too thin so you can feel every bit of the ground beneath you. I tried cushioning it with a sweatshirt and puffer jacket but it makes no difference. What a waste of $50. 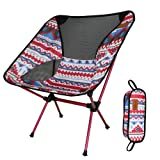 I was really disappointed- I have used older versions of crazy creek chairs and really liked them. I replaced this with the REI $20 version which is infinitely more comfortable and doubles as a sleeping pad. Weighs more and isn't as convenient to carry but it's worth it for after a long day on the trail. 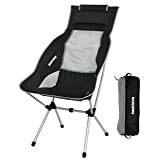 I took this chair on a 72 mile 10 day backpacking trip and it worked great. I have an original style chair made by crazy creek and I liked this one much better because I was able to roll it up tighter and it felt like it formed to my body much better. I wish that it would have the carry handle on it like the original one has but it does not look like that would be possible from the way it is constructed. 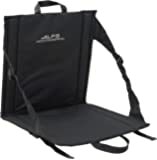 Overall a great product, there is nothing better then a chair after a long day with a back pack on, I am very happy with it. 5.0 out of 5 starsA Real Game Changer! It's hard to imagine my camping life without the Crazy Creek, and painful to think of all the past wasted hours building uncomfortable log benches and rock chairs before I got one. Easily light enough to take on a backpacking trip. You will be the envy of all your friends when they are scrambling for a way to get comfortable by the fire while you sip coffee, grin, and gently rock yourself back and forth in comfortable contentment. Build quality is solid. A great investment that I will never regret. 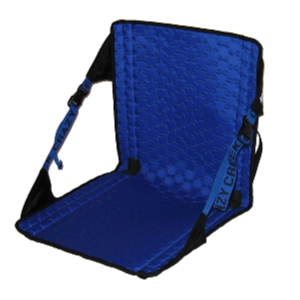 4.0 out of 5 starsGreat item if you want back support and making everyone jealous at camp. This was going to be a luxury item in my backpack for ultralight backpacking gear. 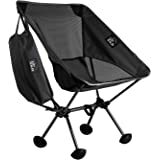 I read about this item and was curious about it only being one and a half pounds and that I would actually have back support while sitting. 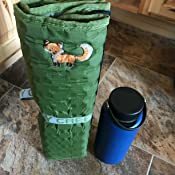 The usual in ultralight hiking is a small mat for easy packability and it’s lightweight. After using both, I think the mat will be just fine. I discovered that sometimes the terrain isn’t conducive to having this type of luxury item. Great for around camp though. I just can’t carry both, every ounce counts! This is one of many Crazy Creek chairs that I have owned. As always, the production quality is top notch. 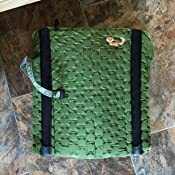 I have also owned other "knock-off" brand items of the same type, and while they get the job done, their make is slightly cheaper and lower quality. 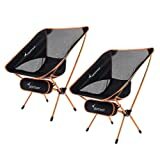 If you intend to use this product as I do, for backpacking and other such outdoor activities, I highly recommend springing the extra few bucks for this brand. It will not fall apart on you, and the joints are well padded so that wear and tear does not decrease its structural integrity. I am 6'1", around 200 pounds, and this chair provides plenty of support for me. 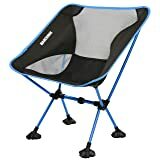 It should be noted that I am rather thin wasted and I'm not sure this chair would be the greatest for fatter individuals. 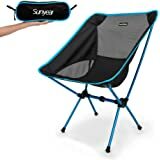 If you are going backpacking, or doing anything that will cause you to not have a supportive back-chair, I highly recommend this product. 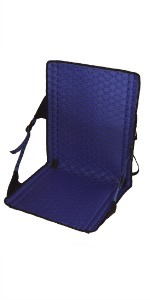 It compacts very nicely into a roll, making it a perfect thing to clip onto the outside of a pack for easy access. This is one of my best purchases, for the price, comfort, and portability. I bought this originally for backpacking in the alleghenys. My stool works well, but I wanted something a little lighter with back support. This chair definitely kept my back comfortable after 10 miles on the trail. I then gave it a test at Bonnaroo, where I am onsite for 9 days as a volunteer. 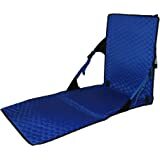 This saved my back all week and I let a few friends try it out, sure they will be buying one for next year, because their backs were aching, where I was fully supported and comfy. My latest trek to Myrtle beach was great, sitting with back support, letting the waves roll in. 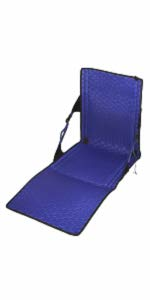 This also can be used as a pad for sleeping, sitting, and is tough made with great materials. Again, this is one of my best purchases. The fold and roll design is good idea for getting it smaller. The hexagon padding plugs is good desire to make it lighter. But they should have saved weight by leaving plugs out where they will never matter (like, actually look at where the body will hit on the mats and the plugs), and instead put thicker patches of insulation where it will matter, right under the sit bone area, and the upper back where straps will hit. A whole lot of area is wasted with hex plugs that will never have anything against them, but sitting area feels like nothing is there. 5.0 out of 5 starsOver the moon for this chair! 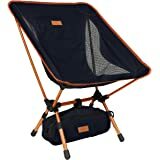 After testing this out at a music festival I can't believe I've waited this long to own a crazy creek chair! I was perfectly comfortable sitting through lawn talks, chilling at the fireside chats, and just lounging with a book on the beach. No matter how I wanted to adjust my position and posture, the two adjustable straps respond perfectly to my whims. 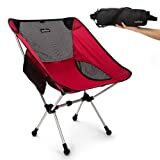 The chair is durable and will definitely take a beating. The vibrant blue is gorgeous! This is officially my new favorite festival accessory.